Have you ever heard of the legendary Ancient Egyptian man called Imhotep? Imhotep was the architect and physician of the Pharaoh Djoser during Ancient Egypt’s Old Kingdom and was possibly the most famous non-royal Ancient Egyptian that ever lived. However, there is something more that fascinates and attracts the interest of Egyptologists about Imhotep, and that is the fact that his tomb has yet to be discovered. Ancient Egyptians took their preparations for the afterlife very seriously, and a man of Imhotep’s prestige and wealth would have had the resources to be able to build a magnificent tomb to house his mummified body safely for eternity, along with all his rich funerary equipment. There have been many theories, pointers, and clues as to where Imhotep’s tomb should be located, but to date, there is no tomb that has been excavated in Egypt that can be positively attributed to the great man. Discovering the tomb of Imhotep is one of the dreams of many Egyptologists, a kind of ‘Holy Grail’ that always seems to be so far out of reach, and yet so tantalisingly close. So where do the Egyptologists need to start looking? Where is the tomb of Imhotep most likely to be located?The clues are to be found in Imhotep’s life and career.Imhotep came to prominence as a courtier of the third dynasty pharaoh Djoser, who reigned from around 2630 to 2611 BC. His rise to power was meteoric, and he soon became one of the pharaoh’s most trusted advisors and also acted as his chief architect and physician. He amassed a long list of important titles including ‘Hereditary Prince,' ‘High Priest of Heliopolis’ and ‘Administrator of the Great Palace,' and most importantly he was given the task of building the tomb of Pharaoh himself. It was this tomb that would seal Imhotep’s reputation as being a great architect, for he constructed for the pharaoh the first large building in the world ever to be constructed of stone and the very first pyramid to have been built in Egypt. In earlier dynasties, the pharaohs had been buried in tombs called mastabas, after the Arab word for step, as this is what they looked like; a step rising from the sand. It has been conjectured that Imhotep’s grand construction, that is now known as the Step Pyramid, started life as a large mastaba and that the steps were gradually added on to form the pyramid. Imhotep built Djoser’s Step Pyramid at Saqqara, which was the necropolis for the city of Memphis, which was the main administrative centre for Egypt at that time. 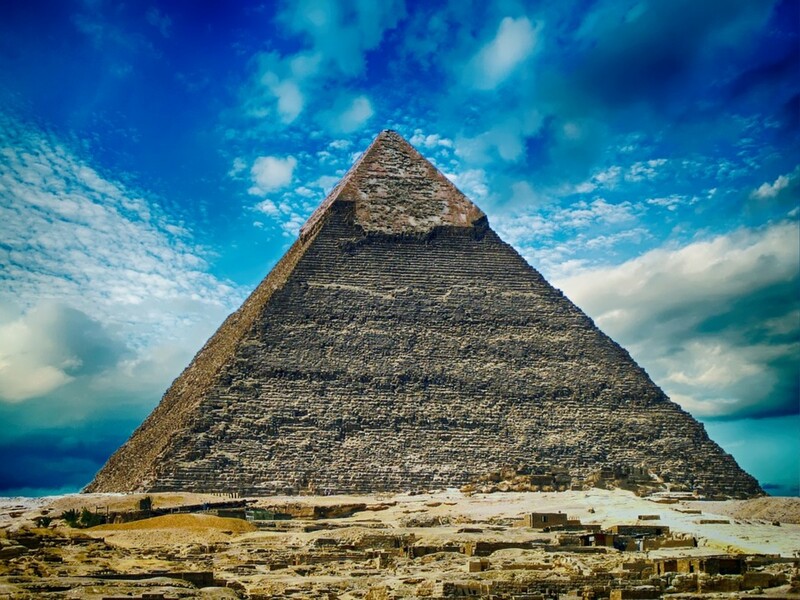 Could Imhotep Be Buried Under The Step Pyramid at Saqqara? So could Imhotep be buried under or close to the Step Pyramid at Saqqara? The Step Pyramid has a maze of tunnels running underneath it, and the burials of eleven of Djoser’s daughters have been found within its precincts, making it the only 3rd dynasty pyramid to have been used as the tomb of the royal family as well as that of the pharaoh. So could the architect of the Step Pyramid also have been granted the ultimate honour of being buried within his royal master’s pyramid?There is no evidence yet to suggest this, but Imhotep is one of the very few royal courtiers to have ever been carved onto a statue of the pharaoh, so did he also merit a final resting place in Djoser’s Step Pyramid? However, even If Imhotep is not buried within the Step Pyramid itself, most Egyptologists agree that it is more than likely that Imhotep is buried somewhere not too far away in the Saqqara necropolis. The big question, of course, is where? The Saqqara necropolis covers a large area, and was continuously used for burials from the earliest dynastic times through to the late Roman period, with many tombs being reused, built over or stripped for stone to build a later monument. 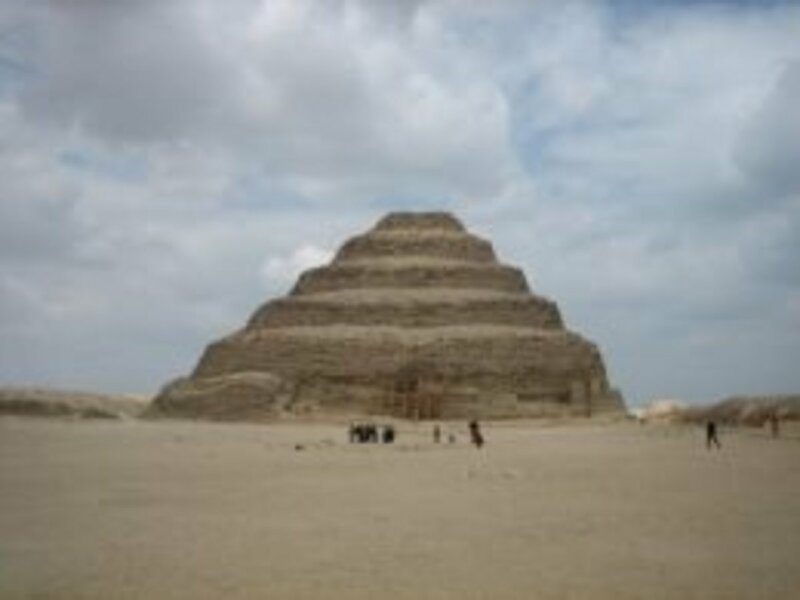 There has also been a lot of excavation done at Saqqara in the last couple of centuries, and earlier Egyptologists were none too particular as to where they dumped the large amounts of sand and rubble that they shifted, which could easily have concealed any undiscovered tombs that lay underneath. What happened after Imhotep’s death is also another clue that is most likely that his tomb will be found at Saqqara, as he was elevated to being a deity after his death. 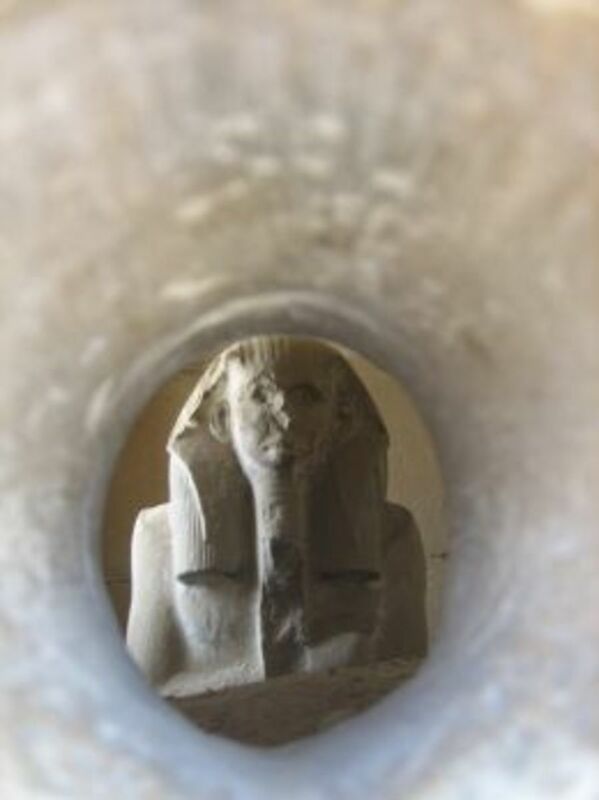 During the Old Kingdom he became a demigod of medicine and two thousand years later in around 525 BC he became a full god of the Ancient Egyptian pantheon, by being recognised as Ptah’s son in the great triad of Memphis, taking the place of the god Nefertum. Only one other commoner in the long history of Ancient Egypt achieved this status, another architect of the 18th dynasty called Amenophis son of Hapu. In fact, the two architects were worshiped together in a chapel in the great temple of Karnak at Thebes. Imhotep also had cult centres in the Ptolemaic temple of Hathor in the workmen’s village of Deir el-Medina, in the temple of Isis at Philae, and he also had a sanctuary on the upper terrace of the mortuary temple at Deir el-Bahri, as well as having an active cult centre at Saqqara. Imhotep is now best remembered as a famous physician, and Egyptians during the Late Period used to make pilgrimages to Imhotep’s tomb at Saqqara to pray to be cured of their illnesses and making offerings. This carried on until the Greek and Roman times, with the Greeks identifying him with their deity of medicine Asclepius. Imhotep was even worshiped by the early Christians in Egypt who saw him as being one and the same as Jesus, and it was not until the Arab conquest in the 7th century AD that the name of Imhotep was lost to history. People would bring mummified ibises, clay models of diseased limbs and organs, and large quantities of votive pottery to Saqqara as offerings to Imhotep. One of the first tangible clues came, when in 1920 Cecil Firth began to excavate a group of satellite buildings in the environs of the Step Pyramid and during his excavations, he unearthed a statue with the name Imhotep inscribed on it, which ignited his interest in finding Imhotep’s tomb, and he searched for this glittering prize until his death in 1932. It was the broken shards of this votive pottery left behind by the pilgrims who visited Imhotep’s tomb that was one of the next clues, when in 1962 Walter Emery excavated hundreds of pieces of shattered pottery that trailed across the sand for several hundred yards not far from the Step Pyramid. He then also discovered a labyrinth of underground galleries containing the mummified remains of millions of ibises, birds that were sacred to the god Thoth in ancient times, interred in earthenware pots. This was a significant find because the scientists that Napoleon had sent to investigate and map Egypt’s ancient treasures had reported exploring a monument that they called the ‘Tomb of Birds’. One of the many titles of Imhotep was ‘The Great One of the Ibis’ , Imhotep was closely associated with the god Thoth, who was a god of wisdom, writing and learning, and ibises were a sacred bird of both Thoth and Imhotep, which was regarded as an excellent indication that they were getting closer to the tomb of Imhotep. Walter Emery also discovered and excavated further galleries containing animal mummies close to the Step Pyramid at Saqqara, one containing mummified baboons, which were associated with wisdom and knowledge in Ancient Egypt, and some further galleries containing mummified hawks. It was in the galleries of the mummified hawks that he found a niche in the wall that was hiding a wooden box that was found to contain a small piece of inscribed stone when opened.The inscription on the stone read ‘Imhotep the Great, The Son of Ptah the Great God and other Gods who rest here’ in demotic script and was yet another clue that the great man's tomb must be somewhere close. There has been some speculation that a large, uninscribed mastaba discovered at Saqqara, mastaba 3518, was the tomb of Imhotep because of its sheer size.But would such an important tomb have been totally undecorated?Even if the tomb had been vandalized by tomb robbers or damaged by weathering or rock falls, there would be some evidence of the inscriptions remaining, however small or faint. What Do We Know of Imhotep's Life? Much of what we know of the life of Imhotep is the stuff of myths and legends; folk tales handed down the generations. When it comes to Imhotep’s family, there is an inscription in the Wadi Hammamat that states that Imhotep’s father was a builder and architect of pharaoh’s court called Kanofer and his mother was a lady called Khreduankh, and that he was married to a lady called Ronpenofret. As he was deified after his death, his mother was also viewed with great respect and venerated as the mother of a god. He is thought to have lived well into old age and to have outlived his royal master, Pharaoh Djoser. There was some graffiti found on the enclosure wall of the unfinished pyramid of the next pharaoh, Sekhemkhet, which indicates that he also worked on this building project. In his position of court physician, Imhotep is thought to have been the original author of the medical papyrus, now known as the the Edwin Smith Papyrus, which is a medical text that outlines ninety different anatomical terms and forty-eight different injuries. During his career, he is also thought to have founded a medical school, based in the city of Memphis. 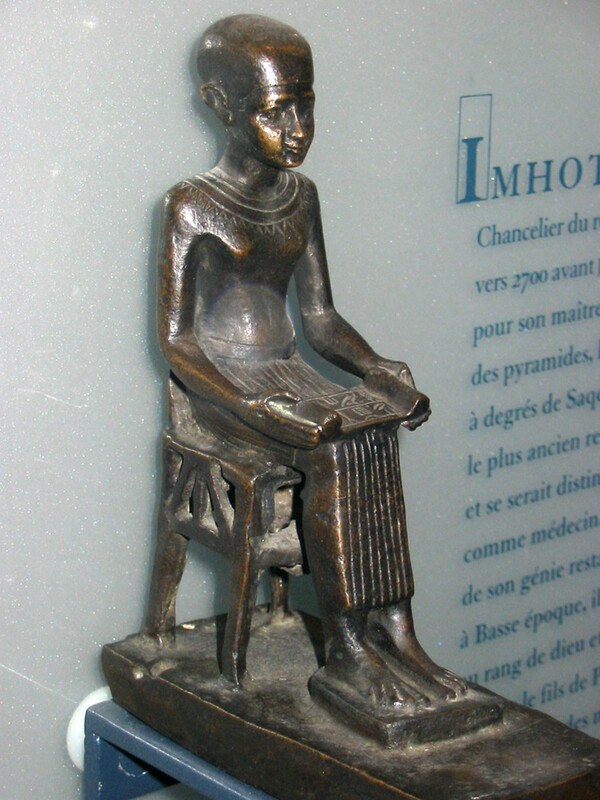 Imhotep was also credited with being a philosopher, and it is thought that he was the author of books on philosophy, poetry, and architecture as well as medicine, although all traces of these works have since vanished. So are the tomb and the mummy of the legendary Imhotep still hidden beneath the drifting sands of Saqqara? Or have they been totally destroyed in antiquity, so that we will never be able to find any evidence of them ever having existed or have any chance of identifying them? Or could it be that his tomb is actually located in a different necropolis, in another part of Egypt entirely? If the tomb of Imhotep is ever found, we can only speculate on what it might still contain.Is his mummy still lying in his sarcophagus and has any of his gilded funerary equipment escaped the ravages of time and the depredations of the tomb robbers? It is, unfortunately, more than likely that such a famous tomb as Imhotep’s, that was known to religious pilgrims until the Roman period was more than likely to have been stripped of its grave goods by the tomb robbers centuries ago.But the hope for the Egyptologists is that the thieves may have overlooked things that they thought had no intrinsic value such as papyri and inscribed stelae that could provide a wealth of valuable information about the life and times of Imhotep and of the religious cult that grew up around him after his death. 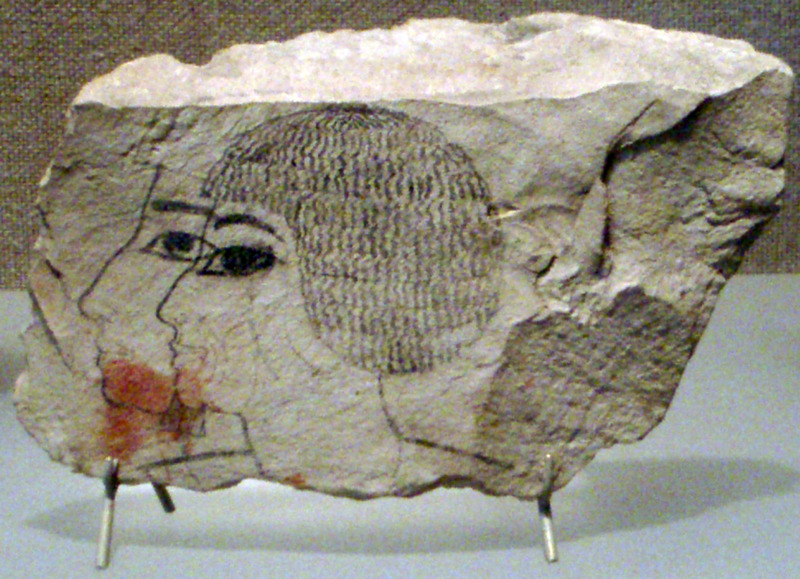 Senmut – Courtier or Lover of Queen Hatshepsut? mean imhotep tomb has not been found ...? I'm absolutely fascinated with Egyptology. I watch all the programmes ,sometimes it's difficult to remember all the details and have been lucky enough to have seen the sphinx and pyramids of Gizza. I've also been to the antiquities museam. I really respect the dedication of the archaeologists but worry about what has been lost in the past. 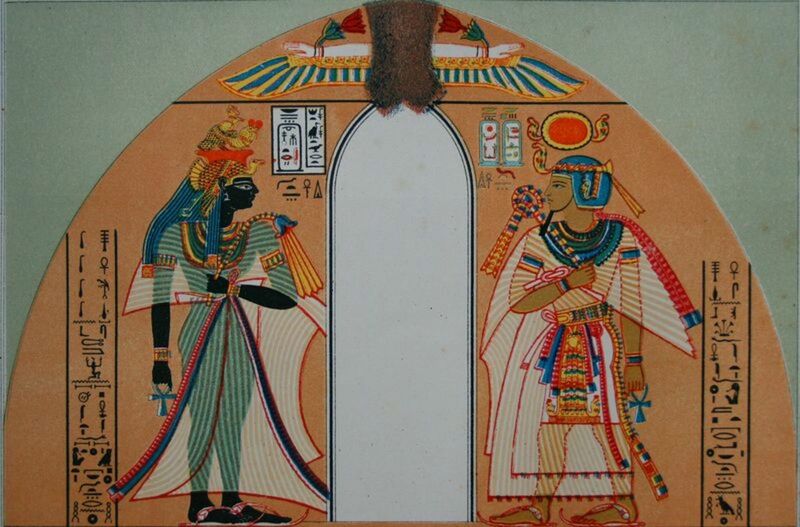 I would love to know if Nefertitis tomb is hidden beside Tutankhamens. Thankyou for the interesting information about Imhotep. I think he is near the step pyramid yet to be discovered. Thanks for reading the hub Joe Y and for leaving a great comment. I'm glad people are learning the truth of Imhotep & not thinking he was the evil man shown in the mummy movies like how he stabbed & killed the Pharaoh, then became an evil mummy. Thank you for reading the hub on Imhotep Perspycacious. I have loved reading about Ancient Egypt since I was a child and have been lucky enough to visit several time. I hope you too are enjoying the holidays. I have enjoyed ancient Egypt since reading "The Egyptian" and I enjoyed reading your discussion here. I hope you are enjoying a wonderful holiday season. Glad you enjoyed reading about Imhotep carol7777. 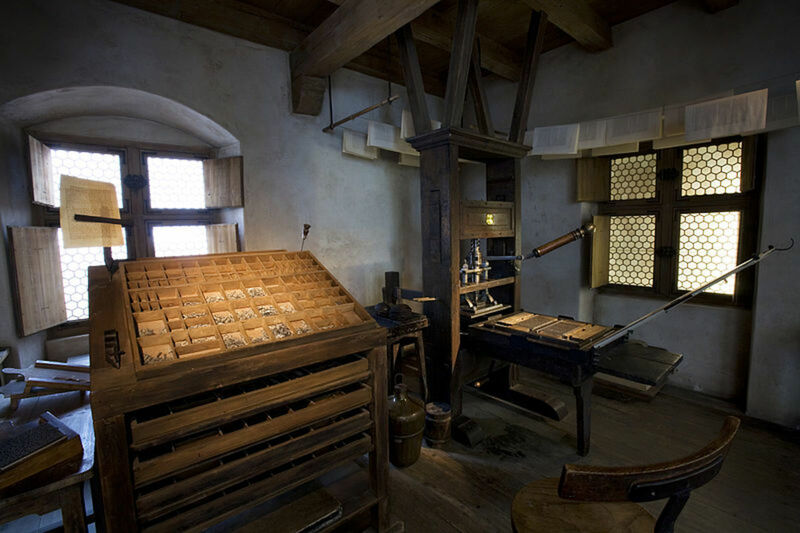 I wonder how many amazing personalities and life stories from our ancient past that we will never even know about? Very interesting. I really enjoyed learning more about Imhotep. I heard about Saqqara Step when roaming in Cairo. It was hardly 20 km away. I mostly spent the time in Pyramids, Museums and Nile Cruise. Now I realize what I missed. Thanks for a detailed account which virtually took me to the site. That is an incredible well written hub. Very interesting and informative. Thank you. Thanks for reading about Imhotep, homesteadbound, the reason you may have heard the name Imhotep before is because that is the name that they gave the evil mummy in the 'Mummy' series of films starring Brendan Fraser. 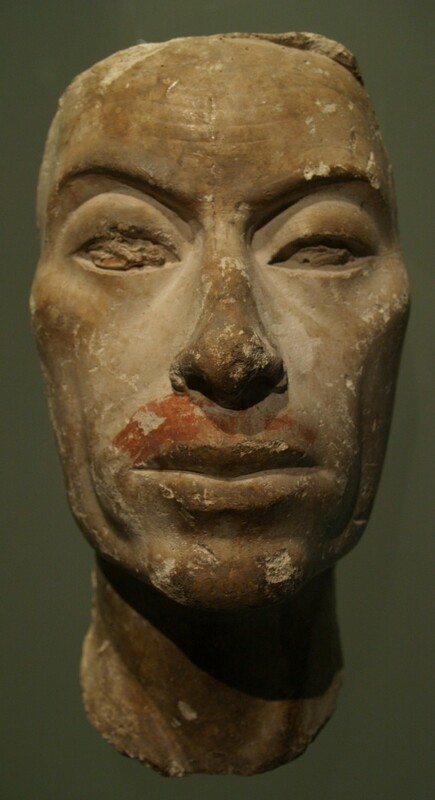 Since I'm not big into history, although Egyptian history does tend to draw me in more than most historical topics, I thought it strange that I had heard of Imhotep but not Pharaoh Djoser. But then I realized that I had probably read about Imhotep as being a god. I really enjoyed your hub. This is another fascinating hub about ancient Egypt! I love learning about ancient Egyptian history by reading your hubs. I'm so glad that you plan to write more hubs about this topic! CM - You are already a God ... as defined in the dictionary - a person or thing of extreme value. You have proven your extreme worth and value with this highly detailed, remarkably interesting historical examination of Imhotep and his final resting place. Bravo, sir! And up! I found this hub really really riveting. Thank you for sharing this with us. 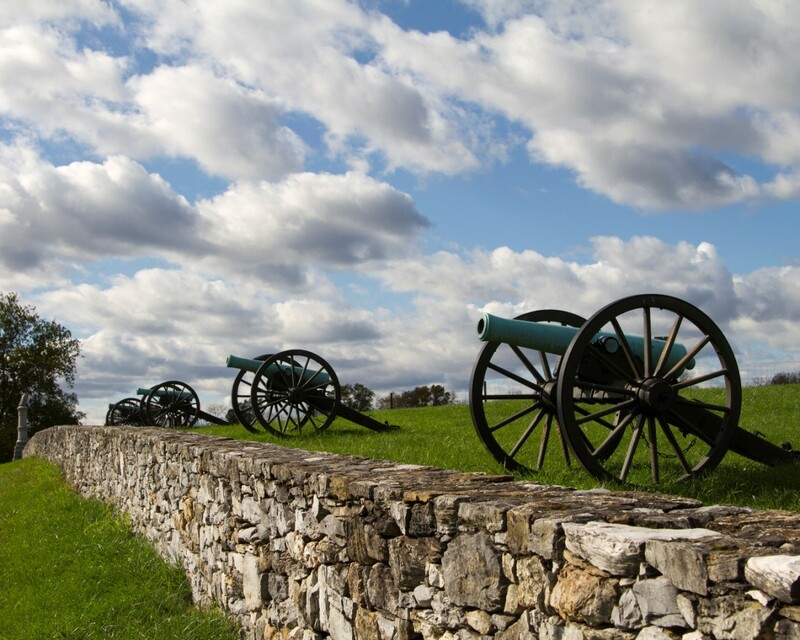 I am not usually a history fan, but I did really enjoy this hub! Thanks for the lovely compliments on the Imhotep hub Peter. 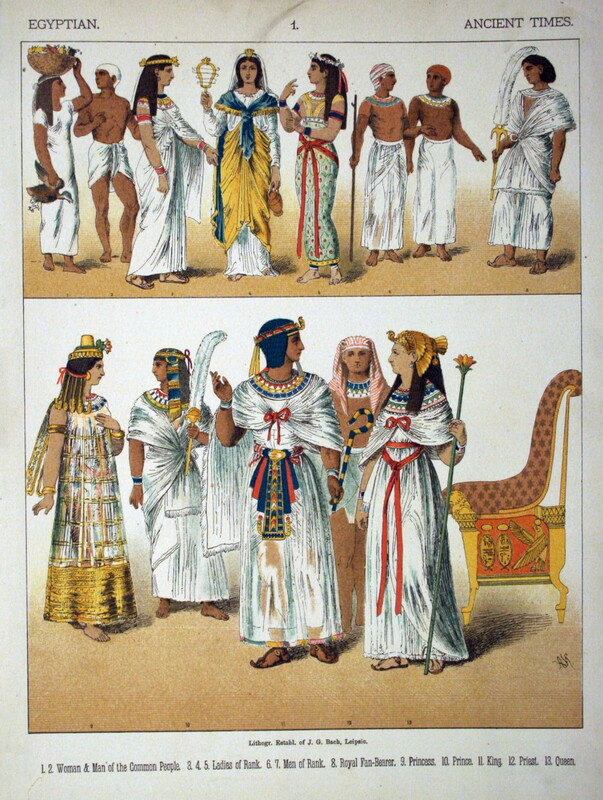 Luckily there are many great stories to tell from Ancient Egypt, so I will be writing for some time!